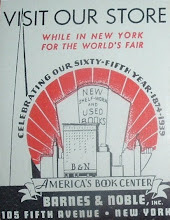 Today, in Cooperstown, New York, the 17th Annual Cooperstown Antiquarian Book Fair is underway. 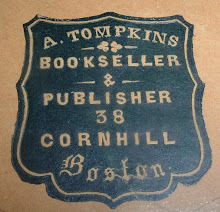 Recently, I wrote about a Cooperstown bookseller's trade card on another blog, but had copied it from my original post on this blog from a few years back. Somewhere and somehow in the process of transferring that information, I deleted the original source from this blog. 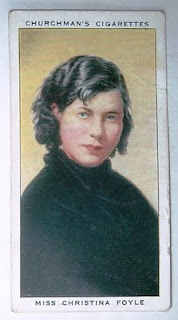 So I'll take this opportunity, on the day of the book fair in that beautiful little village, to repost the piece about the card. I have a trade card for an old bookseller who had just purchased his partner's interest in a Cooperstown book shop, circa 1880s, and sent this card around to introduce the name change from Cockett & Wood to Delos M. Wood, Bookseller and Stationer. I haven't found much of anything else to report on Mr. Wood or his business, but the card was too nice a specimen from a place I love to visit to not include it in this blog. The book trade is still going strong there as well as that other game in town—baseball. Whether baseball was invented there or not, as one version has it, the game has been integral to this community for some seventy years with the Baseball Hall of Fame there. 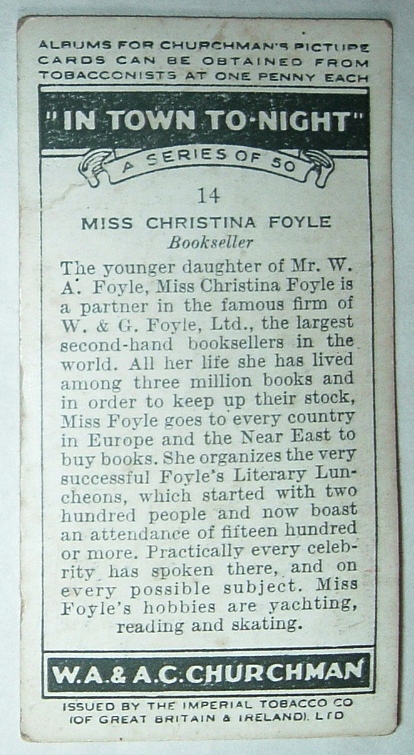 And I would suspect book shops have always played a role in the area’s culture. I was last there about four years ago and found two shops in town and more in the surrounding area. I only had time to visit Willis Monie’s shop and I could have camped out there all day. Much to see. As with the Baseball Hall of Fame. As with the whole area. 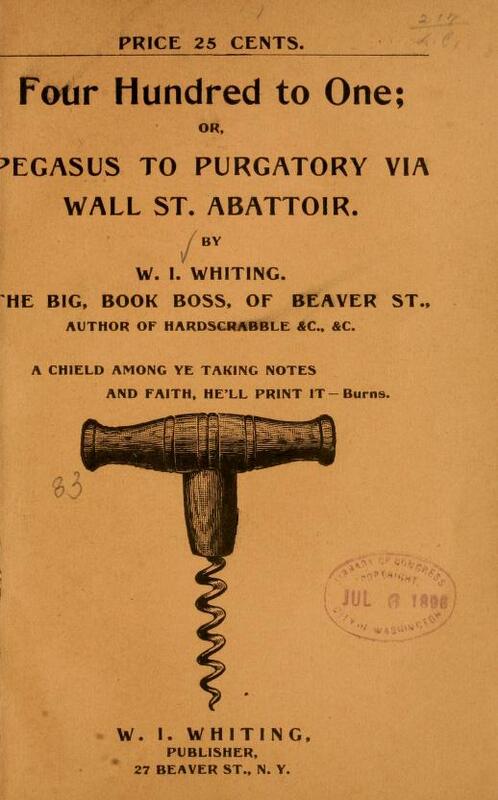 The old adage for a key to a business’ success apparently came into play for bookseller W.I. Whiting in New York during the 1890s. He thought if he hitched his wagon to the wealthy Wall Streeters, he’d make a killing himself with his impressive inventory of a quarter-million books. That was not to be. Not even close. 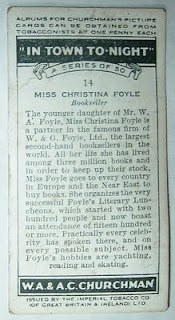 It's always fun to find a piece of ephemera for a business whose proprietor shares my surname. Even more so when the proprietor is a bookseller. And the possibility that I might be remotely related to him is intriguing. I hope so, for he appears to have been quite the character and would make an interesting addition to my genealogy. 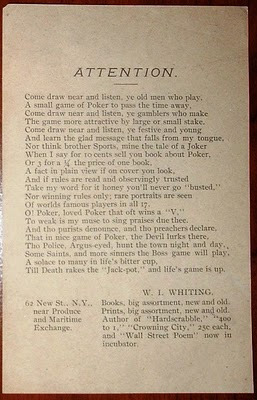 William Ivan Whiting had trouble getting his banking neighbors to come by his shop and buy books. Seems they’d rather hit the 400 bars in the area instead. His book shop near Wall Street had trouble selling two books a day to that crowd. Two sales against a quarter million books makes for a pathetic ratio. So Whiting got angry and it earned him the nickname, Bibliooddio. Odd perhaps, but colorful definitely! THE FACT THAT A 250,000 VOL. BOOK-STORE cannot live where 400 liquor saloons thrive is a disgrace to the imperial city of New York. The entire Publisher’s Weekly article about Whiting follows at the end of this post. Whiting's anger could not be assuaged with a one-sentence volley lobbed at Wall Street. He penned an ode to his losing battle with the 400 saloons and liquor establishments as well, which he saw as his evil competitors for the Wall Street business: Four Hundred to One; or, Pegasus to Purgatory via Wall St. Abattoir (written December 1895, self-published). The Preface gets you warmed up for the Prologue, which sets the tone for what is to follow in a 23-page rambling bit of poetic (self) indulgence at the expense of his wealthy, bookless (his opinion) would-be patrons. Bitter about his experiences near Wall Street.? Yeah, I'd say so. I'd be curious to know how he fared at his new address and, if that didn't work for him, whom he might have blamed and what he might have written about them. One thing for certain--he would not have kept quiet about it. W. I. WHITING, 7 Beaver St.
For seven years Mr. Whiting has fought an unequal battle, as he thinks, against the ignorance of and indifference to literature of the bankers and brokers by whose offices his book cellar is surrounded, and against the influence of the 400 liquor saloons which turn into their tills the dollars which he thinks of right should belong to him. "In the imperial city of the West, here in Wall Street where the brains of the country are supposed to be gathered for the nation's welfare," Mr. Whiting complains, he can't sell two books a day at any price. They won't even " buy a picture-book to take home to their children." And as for Mr. Whiting's own poem, " Four Hundred to One," it might have been still-born for all the bankers and brokers seem to care for it. What they do want, and what they seem to get in plenty, according to Mr. Whiting, is rum-shops. And so Mr. Whiting is about to withdraw the only civilizing influence from that neighborhood, and after the first of May next the bankers and brokers will not be able to get any of his quarter of a million books. He does not say whether he will go higher up-town and give the men who now slight him another chance to redeem themselves in his opinion. This would be his only hope for retrieving the losses he has sustained during his seven years' vigil on the steps of the down-town cellar. He has learned to his sorrow that his neighbors have no time during the stay south of Wall Street for anything but business, and the imbibing of stimulus to keep up the mad rush after the almighty dollar. These same men, however, when their stint of work is done, become men of leisure, and on their way uptown are apt to drop into the book-shops for prizes or bargains. Mr. Whiting made a mistake when he thought he could catch the dollars of these men where they make them, forgetting that in their money-making haunts they are close as new steel traps, while away from them they become reasonable and tolerably liberal buyers. We give prominence to Mr. Whiting's dilemma because it illustrates a mistake made by many of his colleagues in this and other cities. In many cases little or no consideration seems to have been given to the suitability of the location chosen by some booksellers. These are apt in case of failure to attribute their ill success to the indifference or the ignorance of the public, to the department store, their bad luck, or to the inevitable "hard times," because they overlook the simple fact that their difficulties are due to the mistake they originally made in opening a shop in a neighborhood where there was no demand for their services. 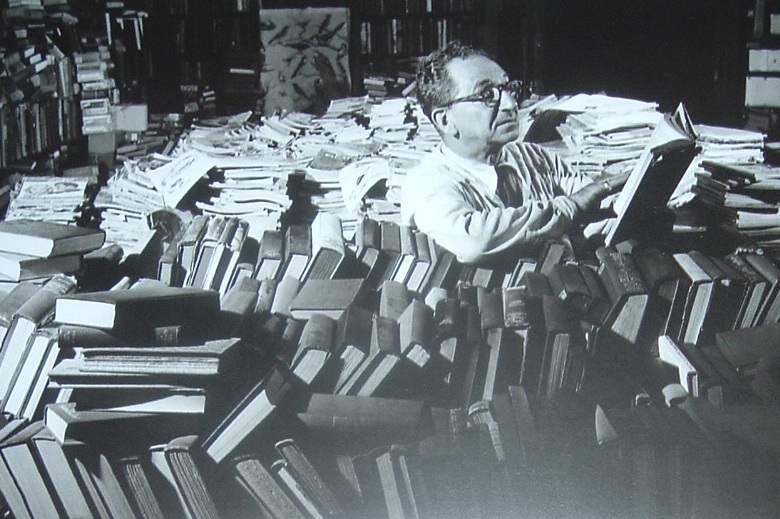 Some days, this is what I feel like in my office. Not a bad thing. This is a French postcard from Editions du Desastre titled, Le Liseur, or The Reader. The copyright date is 2008, Hulton-Deutsch Collection/Corbis. 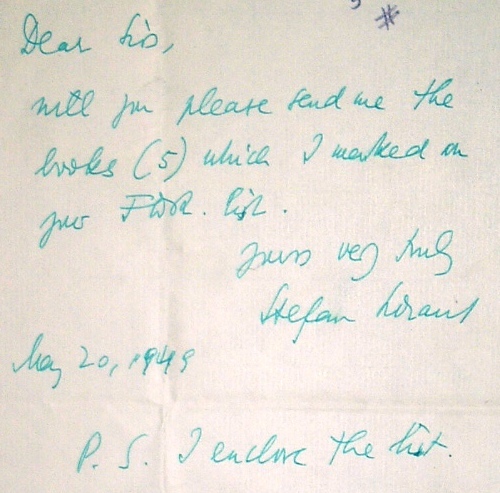 In the letter below, Stefan Lorant ordered five books in 1949 from a book store in New York. Was there anything significant about that? 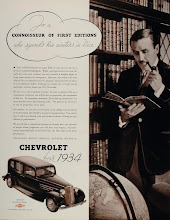 Before I investigated the purchase further, I wanted to know something about the buyer, Stefan Lorant. 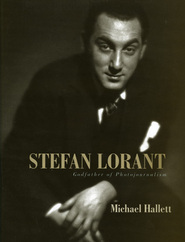 In a nutshell, Stefan Lorant (1901-1997) was a Hungarian-American author, editor, photographer, filmmaker, and pioneering photojournalist. An article about Lorant, found online at the Carnegie Library of Pittsburgh site refers to him as the first major editor of modern photojournalism. Michael Hallett, in the title of his biography on Lorant (Scarecrow Press, 2005), anoints him the Godfather of Photojournalism. One of the first things I learned about this native Hungarian is that about 1919, Franz Kafka helped him get a job as a violinist in a Czechoslovakian movie house at age 19. Not bad for starters. It got even better and I became intrigued with the letter writer and what led him to this business correspondence with a bookseller in New York in 1949. Though he may have had a respectable talent playing the violin, Lorant would not become known for his musicianship. A year after the movie house gig, young Lorant was making a successful foray into filmmaking in Vienna with a film about Mozart. During the 1920s he made a series of films in Germany, wearing the hats of writer, director, cameraman, and photographer. Casting for one of his films, he reportedly auditioned a young actress, whom he advised to find another line of work. Her name was Marlene Dietrich. Can't win 'em all. After his release from prison, Lorant eventually emigrated to England, where his prison memoir, I was Hitler's Prisoner, had been successfully published. There, he did pioneering work in the field of photojournalism. Continuing his cultivation of acquaintances with the powerful and famous, Lorant met and promoted Winston Churchill, helping to elevate his political career. Failing to obtain citizenship in England, Lorant emigrated to America and became a respected author, learning and writing about the history of his adopted country. You get the feeling there wasn't much this creative soul couldn't do. 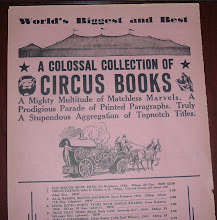 It was as a writer living in Lenox, Massachusetts that Stefan Lorant produced the piece of ephemera featured in this post--one that I'm getting to in a roundabout way. 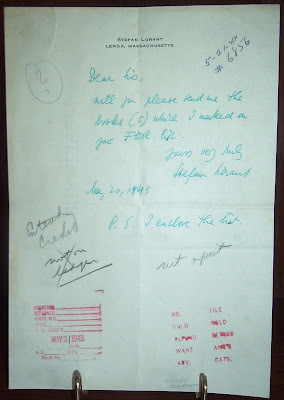 In a batch of old business correspondence from Schulte's Book Store in New York (see the correspondence with Rose Wilder Lane), now in my collection, I found the letter written by Lorant from his home in Lenox, Massachusetts. 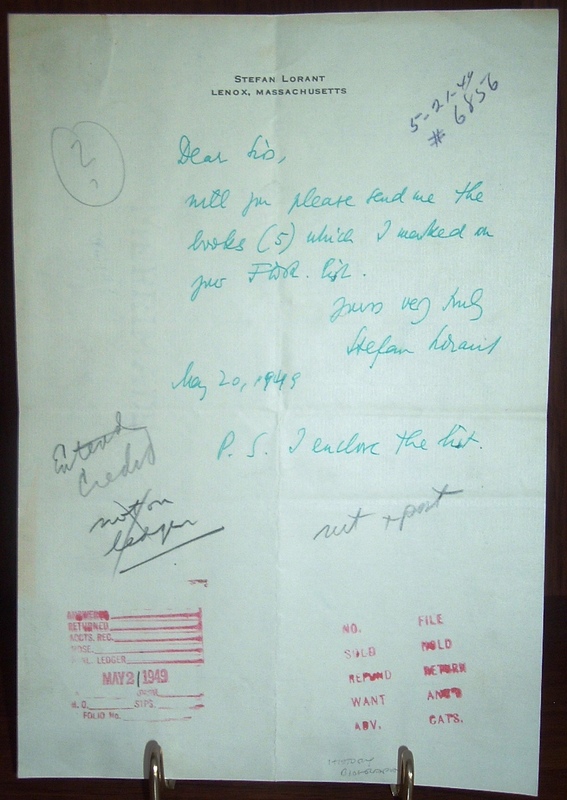 Lorant wrote to Schulte's to place an order for five books, which he indicated on an enclosed "FDR" list. Unfortunately, that list was not included with this correspondence when it came into my possession. FDR, of course, refers to Franklin Delano Roosevelt. After emigrating to America, Lorant immersed himself in American history and among his many books on the subject, he authored a series of books dealing with American presidents. His biography of Franklin Delano Roosevelt was published in 1950. The letter above is dated May 20, 1949. It's pretty safe to assume Lorant was purchasing books by or about FDR from Schulte's FDR list to research for his biography of the former president. There is no mention of a check enclosed, nor a request for credit, but someone at Schulte's noted on the letter, in pencil, to extend credit to this customer. Perhaps he was a repeat customer, or would become one. 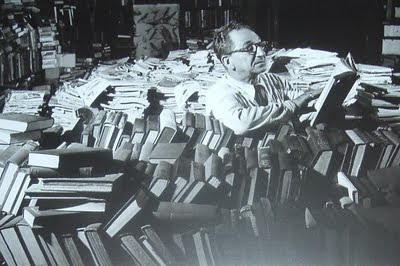 He had many more books to write after 1950 and could have relied on Schulte's again for research material. Stefan Lorant led a remarkably creative and productive life, passing away in 1997 at the age of 96. His talents contributed to and influenced many creative genres. He lived in several countries in Europe and became an American citizen. He learned languages and made friends and acquaintances with famous and influential people from Kafka and Churchill in Europe to Henry Luce and the Kennedys in America, among many others. His was a twentieth century odyssey that traversed two continents, emerging fields of creative expression, and major players on the world's stage. 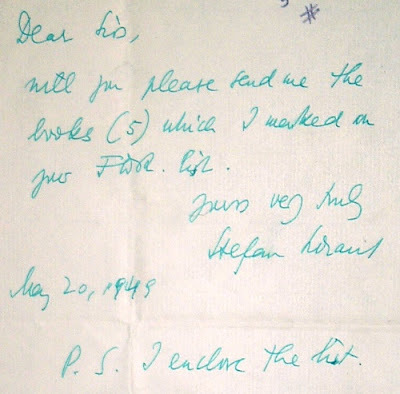 And this ephemeral piece of correspondence in the form of a brief letter to a bookseller offers a glimpse into the minutiae of a creative process and a creative life.